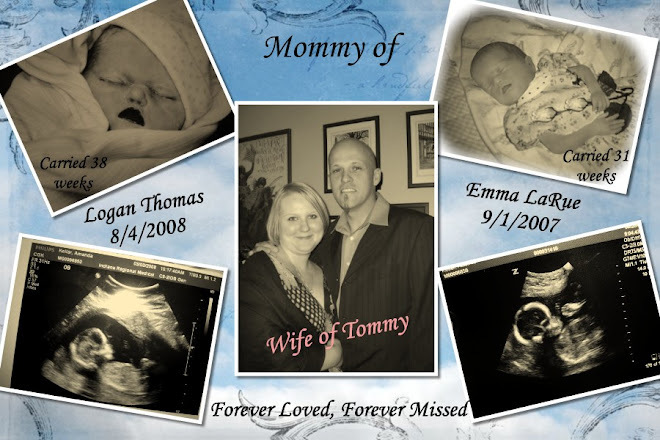 I found an amazing blog with a special "gift" for mommies and daddies who have lost their little ones, thanks to Monica . 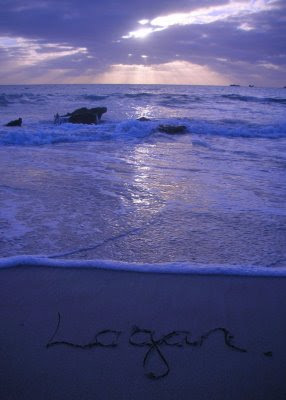 The blog/site is here: "To Write Their Names in the Sand" . And they do just that. So thank you for my special "gift". for remembering our little ones. I have my hope back. I met an amazing high risk Dr. who was FINALLY able to give us answers. Dr. T comes in and immediately he says wow you have been through so much, I am so sorry. Oh by the way my mom was with me. We were both impressed that he acknowledged that first thing. He then went on to take about my pregnancy with Emma and right away he says your daughter did not pass b/c of a "true knot". Knots alone are not fatal to babies. WHAT??? For over a year I have believed that a "knot" took my precious Emma from us. He went on to explain that it was also a placental problem. He explained the cord like a fire hose and that even if the hose get a knot, water can still get through. 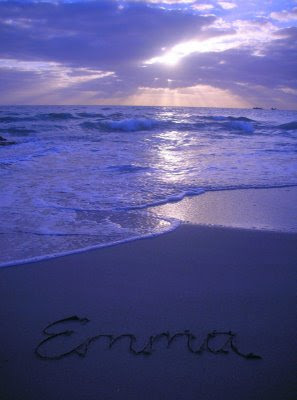 Same is true with Emma. What did cause the problem is I had a bad placenta with multiple infarcts and micro clots. My placenta was unhealthy from day one. He also believes that had I gone any further with Emma I would have developed preeclampsia. He explained there are 4 major obstetric disasters that can happen. I have 3 out of the 4 that have happened to me. He also explained that Emma birth weight of 2lbs, 3 oz was about a month behind where she should have been. All of these point to placental problems. And the same goes for my pregnancy with Logan. Ok so what do we do? First Dr. T is 80% positive that I DO have a clotting problem its just a lot more complicated than the basic ones I was tested for already. The clotting problem that he believes i have is not tested by most Dr's. It is something new and b/c they are a high risk associates hey deal with it all the time. The Latin term he used is "thromophilia" which means clotting lover. So basically with this problem all the odds were against me with both pregnancies. So then I ask the obvious question. CAN I GET PREGNANT AGAIN? YES. What will we do next time so that we have a healthy, LIVING baby? First step is more blood work to confirm what he believes. And regardless of what comes back next time I will have to do shots of Lovenox 2x per day in the belly. He also feels that I have MTHFR- which means that I need additional folic acid possibly for the rest of my life, not while just pregnant. I will be monitored constantly. And if they feel there is the slightest problem, they will give me the shots to develop the babies lungs and take him/her by c-section asap. He has every confidence that we will get our baby. He even had agreed to work with my current local OB, so that I have someone close as well. So then I asked what his recommendation is for when we can try again. He said he had a below the chin answer and an above the chin answer. The above the chin, my body is ready in 3 months. But with everything else we have gone through he recommends 6-12 months. I was ok with hearing that, b/c well 3 months would be next week and I don't feel that I am ready. So waiting is ok, at least for today. Tomorrow I might feel different but that is the road of being a deadbabymomma. So Tommy and I talked last night and I asked him to give serious consideration to trying at the end of February, beginning of March. If we get pregnant right away again, that would put our due date November/December 2009. He said he will give it a lot of thought. He also asked that I try to get myself back into shape while we wait. At first I took his comment as hurtful, even though I know he didn't mean it that way. But I have had sometime to think and I know he is right. So its time to focus on me and taking care of myself so that i can be in better shape for when we do get pregnant again. So I have a glimmer of hope. And that is a good thing. I want to say thank you to so many of my fellow deadbabymommas who had suggestions as far as seeing a specialist and so forth. If I wouldn't have found Dr. T, there is a good chance we would have dealt with the pain of loss once again. So thank you.